A 10-year, 34 million pound study of the problem (which killed 12,000 badgers) concluded in 2008 that culling simply would not work as a method of control. "This is a disappointment, of course, but not just for thousands of innocent badgers," he said. "The irony is that it is a tragedy for farmers too. The decision to cull cannot lead to any significant long-term gain in the fight against bovine TB, even with the complete extermination of our native badgers." Court rules animals can be killed in Wales in bid to prevent spread of bovine TB. The culling of badgers to control TB in cattle, one of the British countryside's most divisive issues, can go ahead in Wales, a judge ruled yesterday. While the idea of killing badgers to prevent the spread of bovine tuberculosis has been abandoned in England in favour of vaccination, the Welsh Assembly Government's plan to cull the animals was upheld by Mr Justice Lloyd Jones, who rejected a legal challenge brought by animal welfare activists. His decision was welcomed by Welsh politicians, farmers and vets, but attacked by wildlife campaigners led by the Badger Trust, which said it would consider an appeal. The issue is hugely controversial, as TB is spreading extensively in cattle in Britain, and there is compelling evidence that badgers constitute a reservoir of the disease and can pass it on to farm livestock. However, a 10-year, £34m study of the problem (which killed 12,000 badgers) concluded in 2008 that culling simply would not work as a method of control. It was argued that not all badgers would be caught in the cull, and that the ones which escaped would wander the countryside spreading the disease even more. Yet in a remarkable scientific spat, this conclusion was itself challenged by the Government's then Chief Scientific Adviser, Sir David King, who insisted that culling would work and strongly recommended the introduction of a culling programme. In the end, the Environment Secretary Hilary Benn took the decision to abandon culling in England for a programme of TB vaccination – to the anger of the National Farmers' Union. But agriculture is now a devolved responsibility, and last year the Welsh Rural Affairs Minister, Elin Jones, decided to go down the culling route after all. Her decision was subjected to a judicial review last month, brought about by a challenge from the Badger Trust, but yesterday at the Swansea Civil Justice Centre the judge upheld her position, and the cull is likely to go ahead now in pilot areas in Pembrokeshire and other parts of south-west Wales. Ms Jones had said that bovine TB was "out of control in Wales" and cost taxpayers close to £24m in compensation to farmers in 2009. "We welcome the court's decision," she said yesterday. "Bovine TB is one of the biggest problems facing cattle farmers across Wales, and we have to tackle all sources of the disease. We are dealing with an epidemic that has serious consequences for us all and we must stamp it out. Over the past three years, with advice from experts, we have put in place a comprehensive programme to eradicate TB, and this includes more testing of cattle, identifying and getting rid of the disease in cattle at an earlier stage, and improving on farm practices." The Badger Trust was "disappointed", said the chairman David Williams. But he added: "Important issues emerged in these proceedings, which ought to give the minister serious cause for thought before proceeding with any cull. We hope that compassion and sense will prevail in light of the latest evidence. Meanwhile, we will carefully consider an appeal." Brian May, lead guitarist of Queen, was among a group of protesters who backed the animal charity's opposition and spoke out against the plan, calling it "a tragic wrong turn". He added: "I believe all this will be seen in a few years time for what it is ... a tragic wrong turn which did nothing to solve the problem of TB in cattle. For the sake of all involved, we will not be giving up the fight. We are taking advice on appealing at a higher level." Leading vets, however, supported the decision. 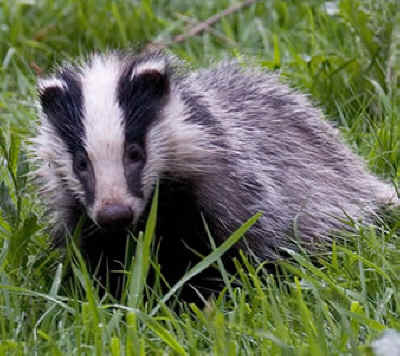 "This is a highly emotive issue and we understand that many people will be disappointed, but it is essential that a wide range of measures are employed and we believe that should include a targeted cull of badgers," said Professor Bill Reilly, President of the British Veterinary Association.